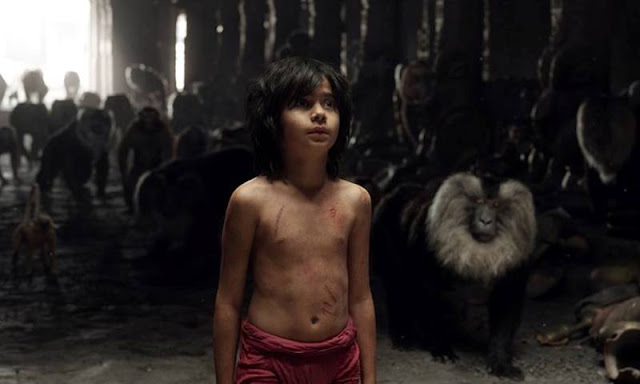 The Jungle Book, directed by Jon Favreau, is a live action and CGI re-imagining of the classic tale about Mowgli, a young boy raised by animals in the jungle. 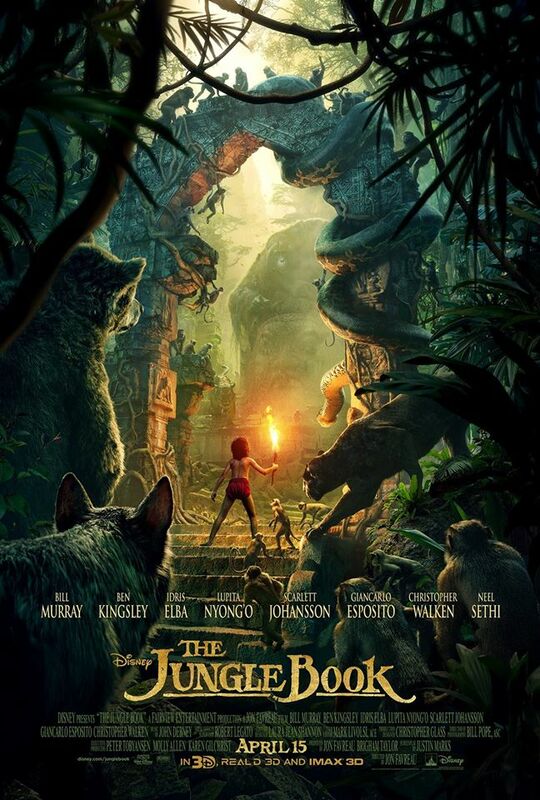 The film features voice work by Bill Murray, Scarlett Johannson, Idris Elba, Ben Kinglsey, Lupita Nyong'o, Giancarlo Esposito, Christopher Walken, Garry Shandling, and Neel Sethi in a live action role as Mowgli. When it comes to visual effects work, this film seriously raises the bar for what is achievable in film making as every second of the movie is an absolute treat to look at. I had some serious reservations about how well they would be able to pull off the whole talking animal thing since most films that go down this road are more cheesy and silly compared to this story so it might come off the same way. Fortunately, this was not an issue at all as director Jon Favreau immediately draws you into this world in a way that let's your brain accept and process what is happening on screen. 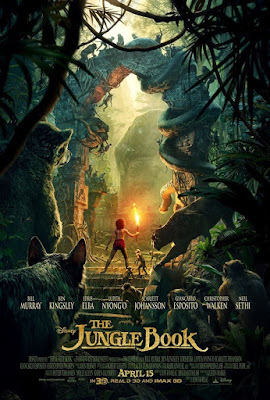 It also helps that the roster of voice talent brought in is absolutely brilliant with Idris Elba's deliciously evil take on Shere Khan and Bill Murray's hilarious work as Baloo being the most obvious highlights. We also get to hear Ben Kingsley sounding very regal as Mowgli's mentor Bagheera and Christopher Walken sort of haphazardly playing a perfectly deranged King Louie although I believe one of the best of the bunch has to be Scarlett Johansson and her silky smooth skills slinking through just a few moments of screen time as Kaa. Of course, the most talented voice actors in the world wouldn't make much of a difference if the real live boy they interact with doesn't work as a likable and believable character in this fantastical jungle setting. 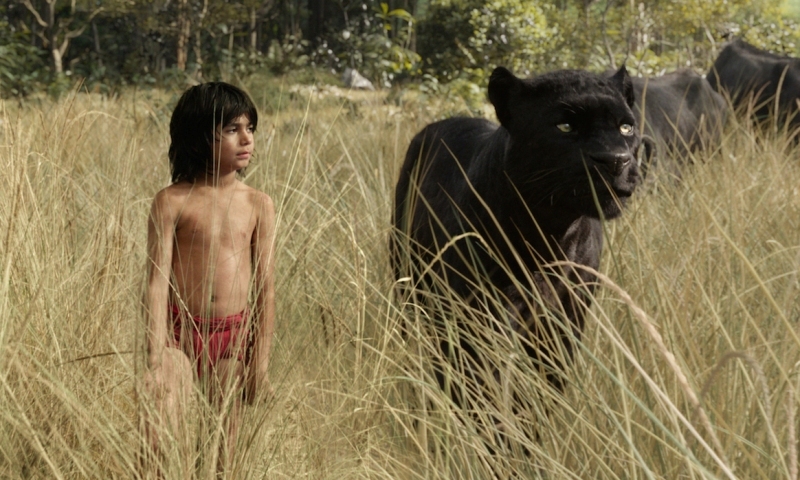 I feel like going with newcomer Neel Sethi was a wise choice over installing a more well known face as it's important for the audience to believe that he is Mowgli and not some kid actor just playing another role. 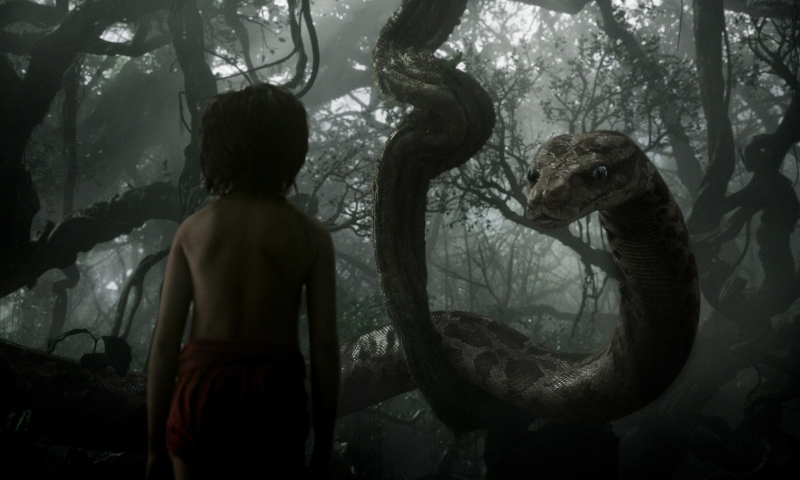 This version of The Jungle Book doesn't deviate much from the classic story which is fine because we really didn't need to see a complete overhaul of something that works well enough as it is. Visually, it is absolutely worth seeing on the big screen so, whatever you do, don't wait to watch this movie at home. I did not watch this movie in 3D or IMAX so not able to comment although I have heard the 3D was really well done.